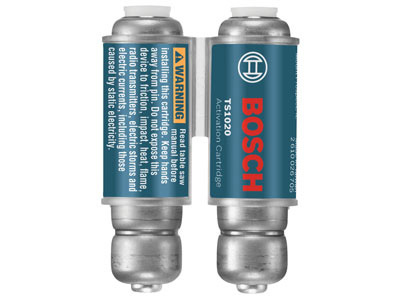 The Bosch GTS1041A-09 REAXX10 In. 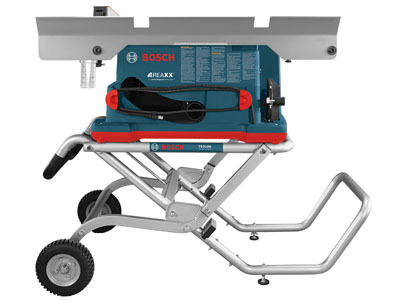 jobsite table saw kit builds on Bosch's heritage of award-winning table saw design while providing the injury-mitigation Active Response Technology platform, which delivers a rapid drop of the saw blade below the tabletop when it detects human flesh coming in contact with the blade. 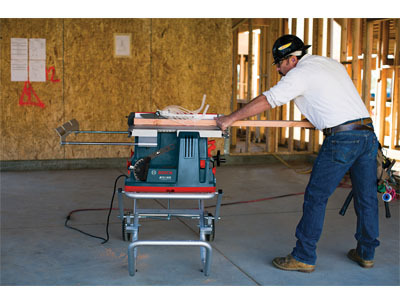 This high speed action helps to mitigate the potential of serious user injury. 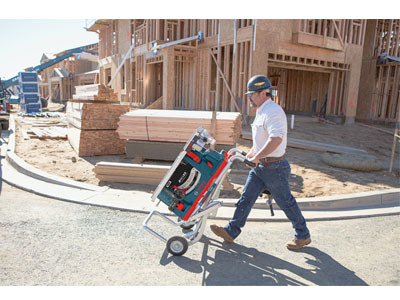 It does so without damaging the blade, and after activation, the system can be reset in less than 60 seconds. 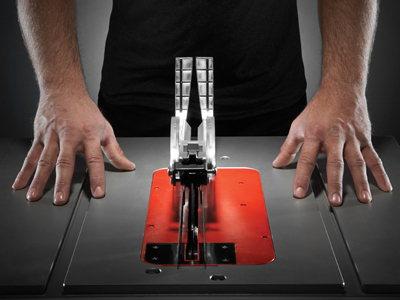 This technology reinforces the Smart Guard System, a modular blade guard that includes an adjustable riving knife, antikickback pawls and a barrier guard. 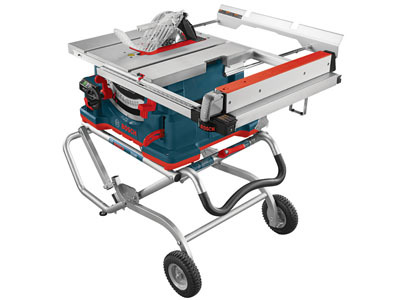 The table saw features an enhanced SquareLockrip fence engineered for exact clamping and a more substantial feel similar to a cabinet-saw-grade glide. 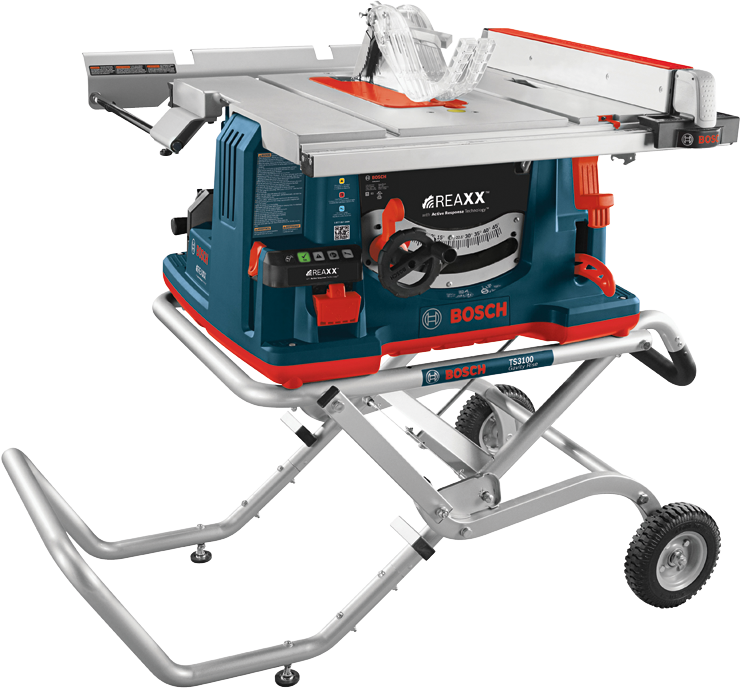 It also has spring-loaded pre-squaring that aligns the rip fence to the blade before locking, for enhanced cutting trueness. 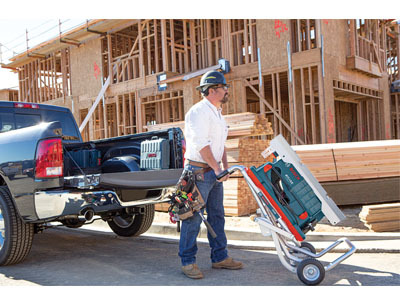 It includes a rear outfeed for 18 In. 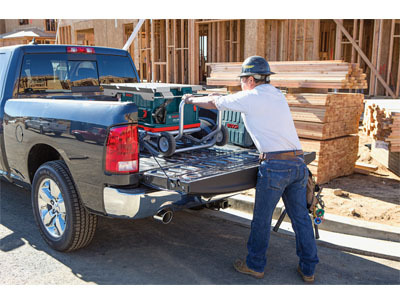 of additional rear material support. 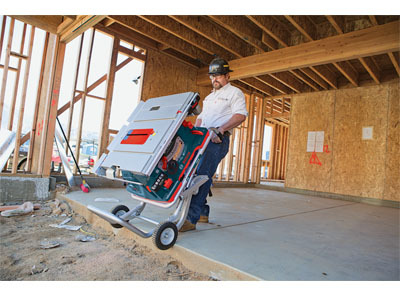 The included Gravity-Rise Wheeled Table Saw Stand manages tough terrain for trouble-free transport of the table saw between jobsites, and provides easy setup and fast take down. The saw's onboard control panel is an easy-to-understand LED light display that integrates Near Field Communication (NFC) technology. This allows NFC-enabled phones to communicate information from the onboard control system – such as system activations, servicing needs and instructions. 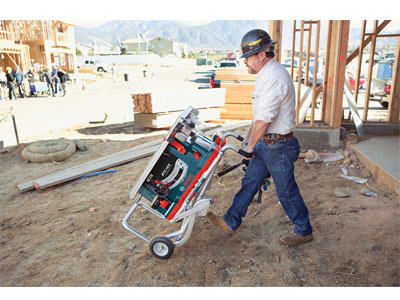 The saw features a beefy 15 Amp, 4.0-hp max motor producing 3,650 RPM. 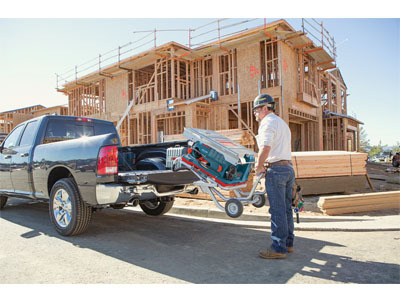 It includes additional advanced electronics that provide soft-start to manage motor start-up and Constant Response circuitry to maintain speed under load. 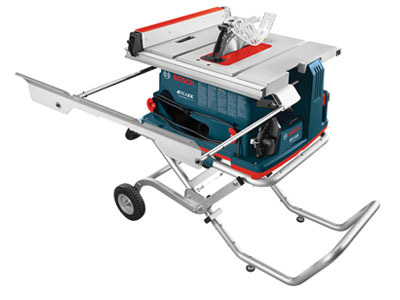 The saw works with nearly all standard 10 In. 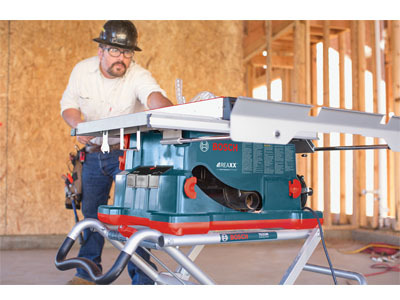 fine finish and construction-grade blades and stacked dado blades, it has a 25 In. 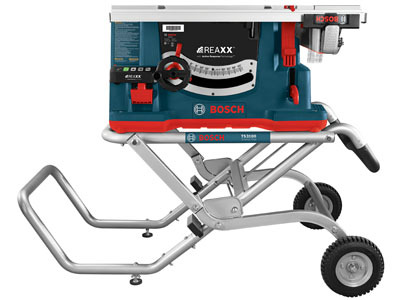 rip fence capacity, and it has onboard storage for all necessary parts, instructions and wrenches. Max. Depth of Cut at 45 Deg. 2-1/4"
Max. Depth of Cut at 90 Deg. 3-1/8"